November 2010 - Tips, eNews and More! Did you know that most insurance policies run on the calendar year? What does this mean to you and your family? Please call the office and we can explain it to you! We are getting close to the end of 2010 and your benefits could be used before year-end. If you have unfinished treatment that needs to be completed such as fillings, crowns, bridges or even your regular check-up, please call our office to book this space now to ensure your appointment is at the best time for you. As we go into the Halloween weekend, make sure to keep an eye on your little ghosts and goblins so that their evening of trick or treating will be safe and fun. As to all the sweets that they will be collecting…. well every child needs to have some fun, just remember to brush after having those sweets and try not to over do it or else a sore tummy will be the result. Liz is throwing her annual Halloween Party Fundraiser for Sick Kids in her hometown. Stayed tuned to our eNewsletter and Website for photos. As to what is new in the office, there is always excitement and innovation. This Friday and Saturday, Celine, Habiba and I will be training in the office to take impressions without goop in the mouth. We will be scanning the teeth by laser scanner and the finished crown returned the next day. We are very excited, as it is a way to make your experience simpler and more pleasurable. Oh yes, before I sign off, one last reminder. IF YOU HAVEN'T SIGNED UP FOR THE TICAT TICKET DRAW, WHAT ARE YOU WAITING FOR? We will draw the last pair of tickets on Monday!! 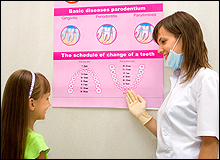 At our office we often hear stories of childhood experiences at the dentist. Some are heart warming, such as the Muppets toothbrush that you still keep unopened in your top drawer, or how your cavity-free smile is still posted in the waiting room. Others aren't as apt to provoke your winning smile. We can't blame you, the dental office can be confusing place in your youth: drills, clamps, needles! Does the very mention of these words make you uneasy? Try and remember your last visit to our office: we're certain that pain is low on the list of your recollections. Dentistry has come a long way in providing comfort and a low stress environment for patients. At our office, your comfort, health and safety are all priorities. Our office is designed with your comfort in mind. From our waiting room to the dental chair, no detail is too small insofar as your comfort is concerned. Click here to learn about the ways we can make your visit as comfortable as possible. Ah it's fall, the leaves are falling and so are the temperatures. 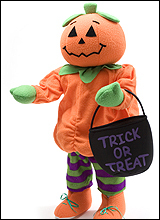 Halloween is this weekend and whether you have little ghosts and goblins or not, chances are you will have a pail full of sugary sweets leftover from accommodatating those that did come to your door. If you're like me, not all of these candies ended up in little 'trick or treaters' bags. More often than not it's a 1:1 ratio of one in the bag, one in my stomach. Here are some suggestions to help you cope with the temptation of Halloween candy in the house. Eat any candy with a meal, and drink water to rinse the sugar from your teeth when you're done. If you're going to indulge, do so in moderation, besides the dental problems think about your overall health.